Never let prints come into contact with PVC plasticizers. Interleave all prints. Use ONLY Astro-Foam, white foam or Uline foam. It will not stick to any print surface. The dimensions of the interleaving sheets should be slightly larger than the prints they are going in between. 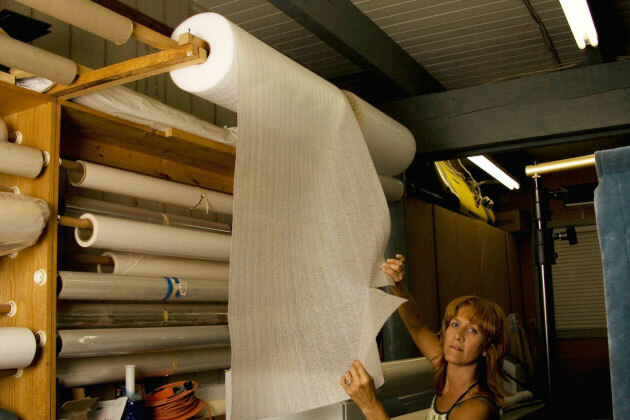 Wrap all stretched canvases. Again, we recommend Astro-Foam,white foam or Uline foam for the same reason. Eco friendly PadPak Junior by www.ranpak.com. Wrap entire canvas in White foam. 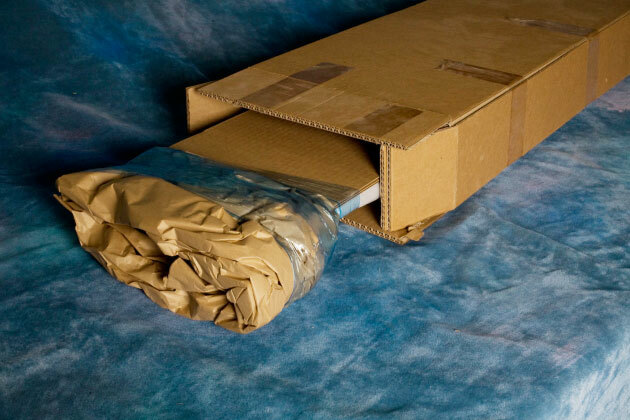 Layer corrugated cardboard over the face of canvas (make cardboard slightly larger than canvas size). Start of fold: Fold strips of PadPak in half and fold over edge of stretched canvas as shown. 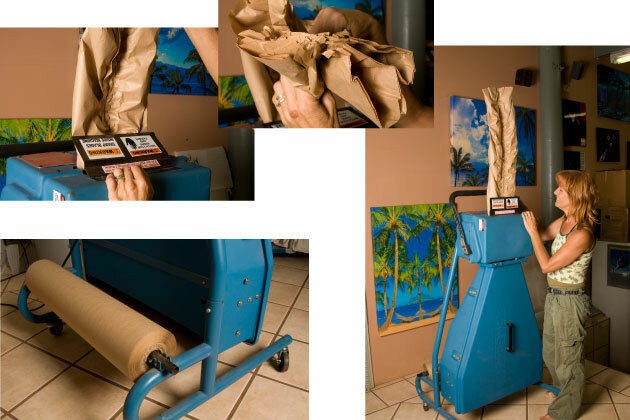 End of fold: Fold strips of PadPak in half and fold over edge of stretched canvas as shown. 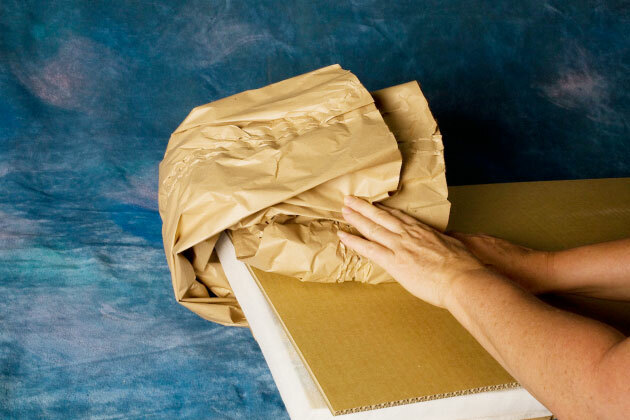 Outer Packaging of Corrugated Cardboard provides protection of canvas wrapped in PadPak.